My wife and I are planning a trip this summer with three of our older girls. We haven’t settled on a destination yet but in the process of thinking about the upcoming trip I couldn’t help but reminisce about our trip to Paris two years ago. I would happily go to Paris again — so many things I didn’t get to see last time (and so many I’d like to see again). I took the shot above (an HDR processed from three handheld exposures) on our first day in Paris. This one is almost impressionist in feel. The edges are soft and I only partially masked in some of the ghosted people from the various exposure. It would be unacceptable as a print but makes a nice, moody image when viewed at the appropriate size (smallish). A couple of days ago a friend of mine emailed to ask my opinion regarding new tires for his car. That car — pictured above — was my car and daily ride for four years and his inquiry reminded me of some of the pictures I had taken of it. I wrote that I was thinking about selling it when I posted this street scene from Paris a couple of years back. Shortly after that post I did sell it (obviously). I think I gave my friend a really good deal, but my wife thought we should pay him to take it off our hands. So, don’t tell her that I miss it! As for the picture itself, first know that I wasn’t so into my car that I took pictures of it all the time. Rather, I occasionally used it as a test subject when I wanted to learn something new about photography. The picture above was taken in my driveway for a dailyshoot.com assignment — “mode of transportation”. I started out to make a “normal” HDR (if there is such a thing) but bagged that idea. Here’s what I wrote about it at the time: “Another opportunity to try for a decent shot of the car. From the beginning I intended to make a black and white HDR image so I took bracketed exposures. However, the tonemapped image (from Photomatix) was terrible and I quickly determined that the best image would come from the normal exposure with a few bits and pieces masked in from the over-exposed shot. Still HDR in the manual sense (manual processing), just not tonemapped in Photomatix (or similar software). Lots of room for improvement but there’s that real job thing…”. There *are* a few glaring defects in the photo but I like the overall look and decided to post it in spite of those. There’s something mysterious behind that door. Through the translucent window it appears that someone is going to pop out at any moment. Or maybe there’s a crime being committed — it’s a perfect doorway in which to film a Hollywood crime scene. This photo was taken last spring in Paris in the general area of Rue Cler (I can’t remember exactly where except that it was between Rue Cler and Champ de Mars). On every street there were very cool doorways like this and I could have filled an entire memory card with pics of them. Add a model to this scene and you could do an entire photoshoot. 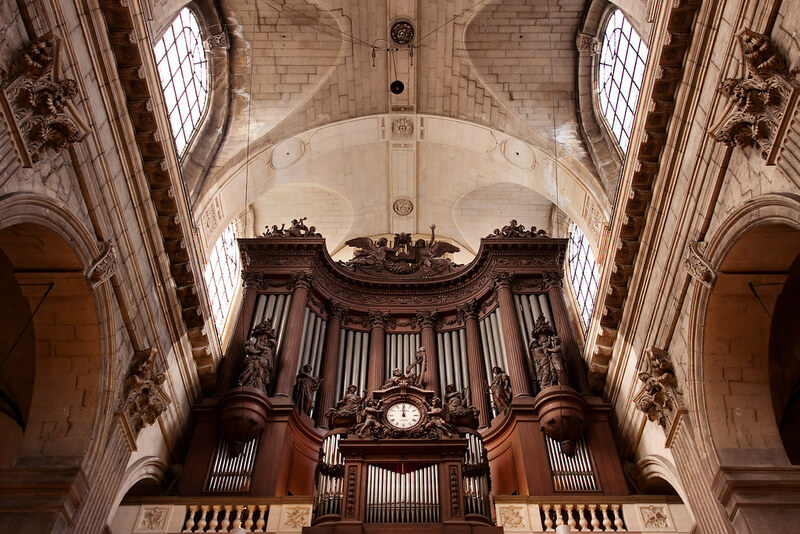 The architecture in Paris was absolutely amazing. 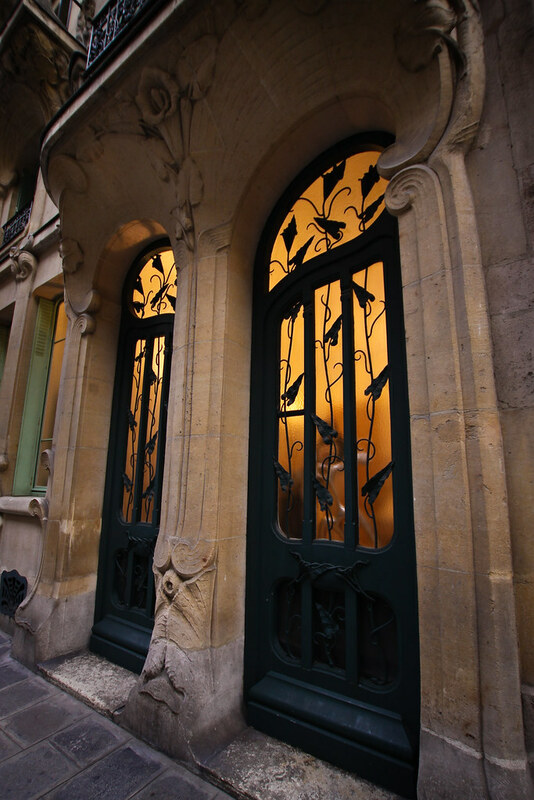 Ranging from huge structures like the Louvre to “simple” doorways like this there is seemingly no end to these displays of design and craftsmanship. So cool. Processing of this image was very simple — basic curves adjustment, slight vignette, clarity, and vibrance adjustment — all done in Lightroom. A couple of months ago I bought a truck to replace the one I gave my oldest daughter when she got married. That truck has become my daily drive for various reasons (maybe someday I’ll write a post about trucks, 4-wheeling at the beach, and just being manly). Occasionally I’ll drive the 540 and I still enjoy it, but it’s time to sell it (anyone in the market?). As I prepped to sell the car, I thought back to this image taken on the streets of Paris last spring. I was poking around with the camera and spotted a Mini Cooper speeding toward me. I was fairly fresh off a workshop taught by Raul Touzon and one of the things he had taught us was his method for capturing motion like this (see this post). 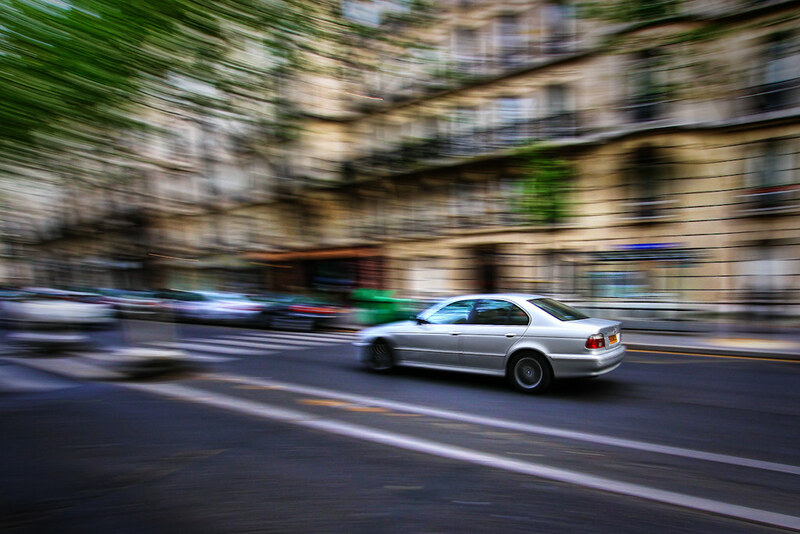 I attempted a panning shot of the Mini and this 5 series followed soon after…grabbed it too. 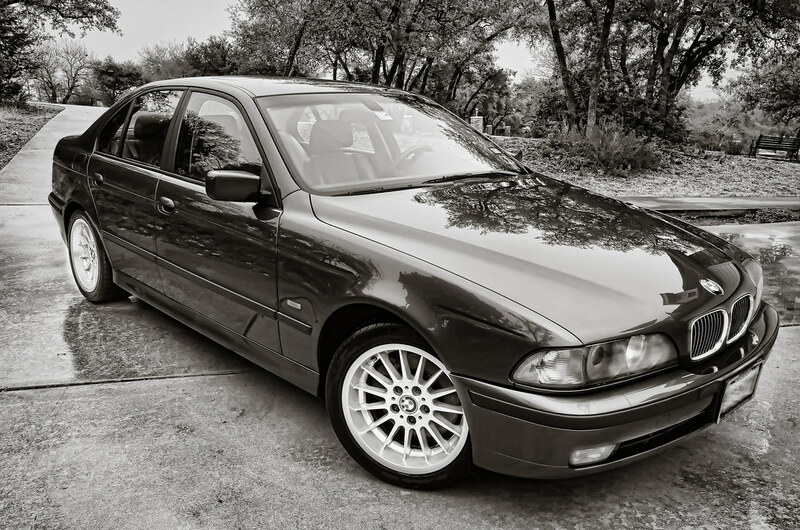 The shot of the car headed away symbolizes my 5 series leaving the family (sniff). Just kidding, how sappy would that be? — it’s actually just a cool shot IMO! No symbolism in this one 🙂 It would have been great if the entire car was sharp but I can live with the look here — it gives an additional sense of speed like the car is just headed into some sort of a time warp. I started with a single exposure and I tonemapped it in Photomax. Then I blended it at about 50% opacity with the original exposure. I used overlay mode for the blending. Topaz Adjust, curves, sharpening, and Noiseware were used selectively in the image. I left in lots of the noise to give the motion-blurred portions a bit of grain and texture. Finally I brought it into Lightroom and touched up a few things before exporting. I hope you think this is a cool scene too. Does Your Photograph Capture What You’re After? One can have many valid reasons for taking a particular photograph. It might be a subject which interests you. You might just think it’s pretty. It may be something you don’t even like but a client has hired you to do it (I don’t have clients so I don’t have to worry about that!). Maybe it captures a special memory. The way you take a photograph can enhance or detract from the message of the image. Aperture, shutter speed, framing and all that. The choice of lens and focal length has a big impact on your final image as well. There are all sorts of “rules” like the rule of thirds, placing open space in front of moving objects to give them someplace to go, etc but in the end it only matters what you (or your paying client) is happy with. I have many photos which would never stand up to a general critique, yet they are some of my favorites because of what they mean to me. I also get complimented on some images which I think are very blah, yet they seem to be the favorites of many others. Just this week someone who keeps an eye on the photos I post told me what their favorite image was (this one here). I chuckled at the choice because, while it was kind of a fun image to try, I wasn’t happy with it and only posted it to show what I was experimenting with. I find the background too cartoonish (I used the euphemism “dreamy” for it) and that wasn’t what I was going for. Of course, their opinion is every bit as valid as mine regarding that photograph — they really enjoyed it. I’ve been reading through David duChemin’s ebooks (which I recommend BTW) and have been thinking about some of these things in conjunction with his “Chasing the Look” ebook. 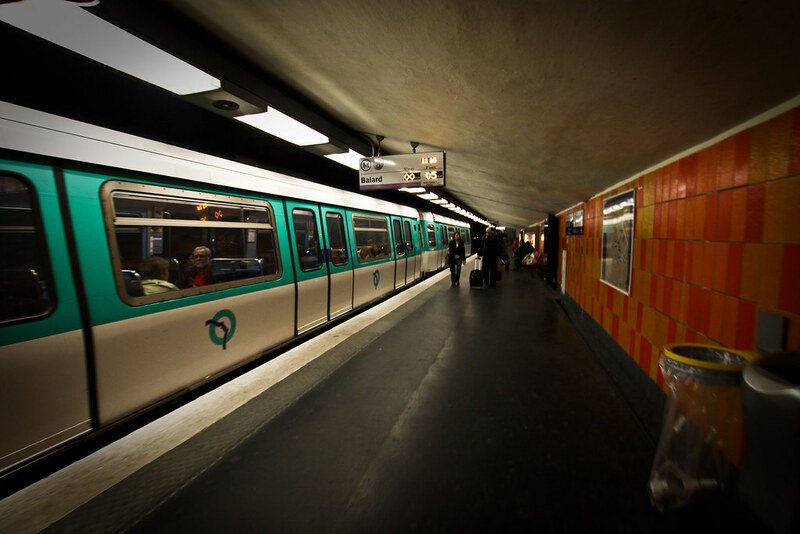 The handheld photograph above was taken in a dimly-lit Paris Metro station. I just love that picture. I love the lines, the composition, the slight bit of motion as the train started its journey, the green opposing the orange, and the darkness that waits at the vanishing point. Most of all, it brings back memories of a trip to Europe with my wife (we went all over on the Metro). As all three of my faithful readers will remember, this trip was about romance (cue the Ricardo Montalban voice for “romance”) and not about photography, so my images were mostly about capturing memories. It may not appeal to everyone, but it captures all that I was after. Check out David duChemin’s blog here. 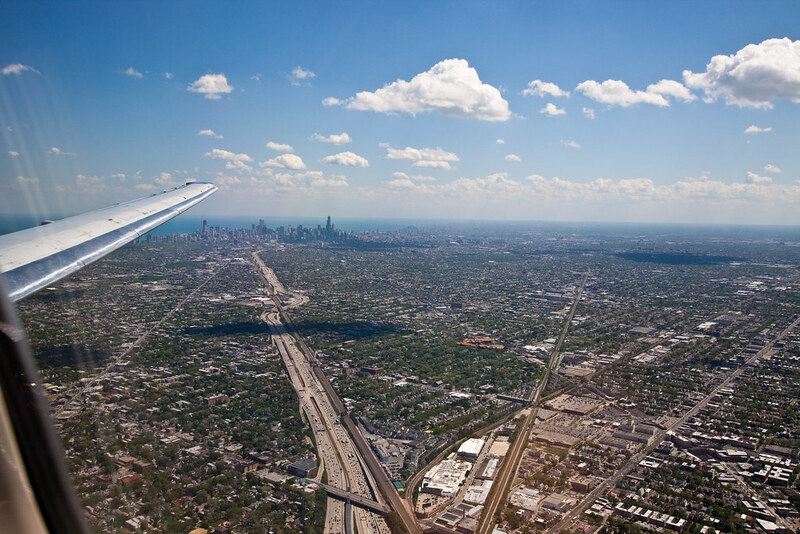 (Many years ago) I was born on the south side of the Windy City in the Roseland neighborhood. My family moved to the south suburbs when I was pretty young, then out to a rural area (still close to the city) in high school. I went to lots of Blackhawks games in Chicago Stadium, Sox (and Sting) games at Comiskey Park, and even managed one Cubs game at Wrigley. Incidentally, I never made it to a Bears game — haven’t ever been to a pro football game to this day. I remember watching Stan Mikita, Pit Martin, and Keith Magnuson play for the Hawks. I loved Sox players like Chet Lemon (when I was really young), Harold Baines, and Carlton Fisk. I had a home run ball hit by Brian Downing back in the 70’s. I wasn’t actually at the game and honestly don’t remember if he played for the Sox or the Angels at the time. I was at the 1983 game where the Sox *could have* clinched the division but they needed a win or loss from someone else so they didn’t clinch until the following night…something like that. I watched every game of the Bears run up to the Super Bowl in 1985 — what a fun season. I practically worshipped Karl-Heinz Granitza of the Chicago Sting. I wasn’t big into autographs but I had Harold Baines, Walter Payton (got that one at the auto show in McCormick Place), and Johnny Morris (got his in the stands at Comiskey Park the same day I got Baines’). Since our trip to Paris it seems that I’ve never been able to catch up with “things”. Photography has certainly been a temporary casualty but I’ve managed to process most of the photos from the trip. Most pics got the quick exposure/contrast treatment but I managed a few HDRs as well. We spent our six nights in Paris but included a day trip to London during the week. I booked us in “leisure select” (effectively what we’d call business class) on the earliest Eurostar between Gare du Nord (Paris) and London St. Pancras and then the latest train back to Paris. Frankly the train rides were quite enjoyable and relaxing. 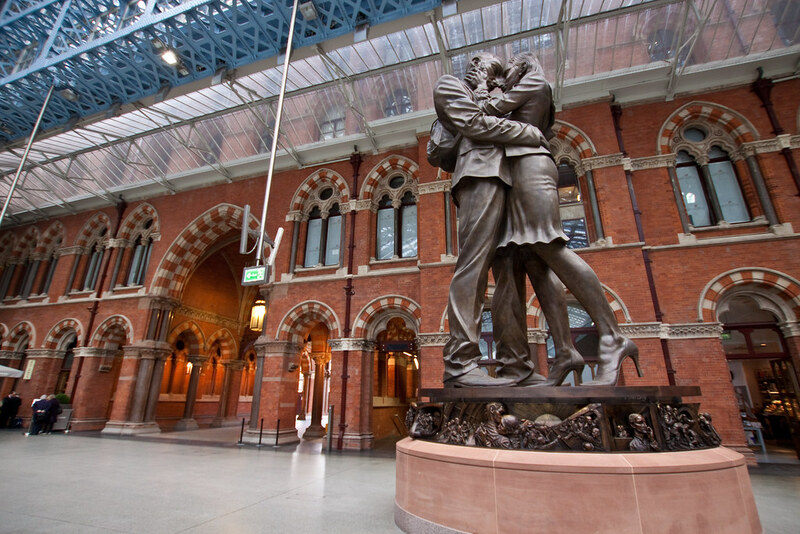 The image above was taken in the St. Pancras train station and shows a statue called The Meeting Place by Paul Day. The architecture (interior and exterior) of the train station alone would have made for a decent day’s photowalk. I read somewhere (probably wikipedia) that the station underwent a $1 billion+ renovation in the last decade. There are still some construction fences around portions of the exterior — I only noticed because they ruined some photo opportunities. The pic below was taken on the bridge at the entrance to the Tower of London. 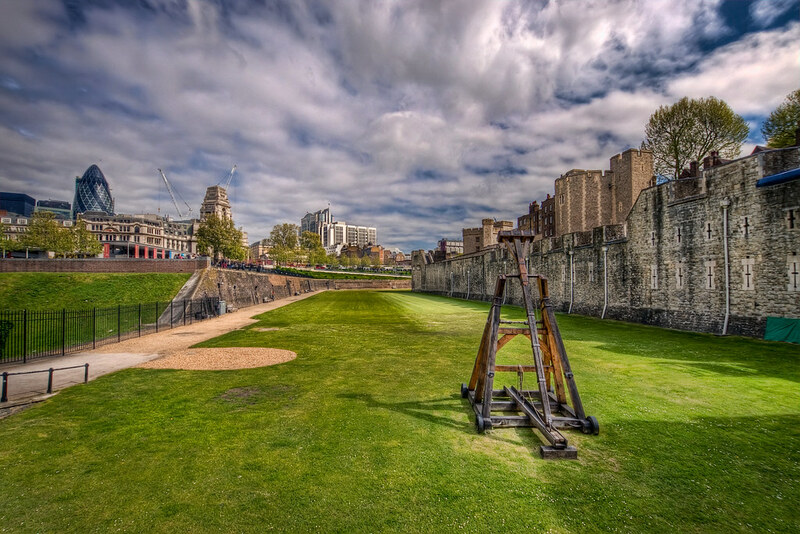 A catapult sits in the long-ago drained moat surrounding the walls. While this image doesn’t really capture the essence of the Tower itself, it certainly helps me re-live that single day we spent in London. Sunny and warm, blue sky with awesome clouds — such a rarity in London. It seemed that everyone we met made some comment to the effect of “You sure got some of our best weather for your visit”. The Tower was amazing. The history of the place is SO interesting. The Beefeaters tour was quite entertaining as well. We spent about three hours inside and that was skimming a lot of the text on plaques and such. We’d certainly go back and spend more time if we visit London again. The HDR above was created using three handheld exposures. Tonemapped in Photomatix with some typical contrast, sharpening, etc…no blending with original exposures. In my last post I extolled the virtues of my Canon 70-200 f2/8 L IS lens. Today I’ll point out one of the few positive things about my old Sigma 18-200 non-IS (or whatever Sigma calls their stabilization). What is that virtue? 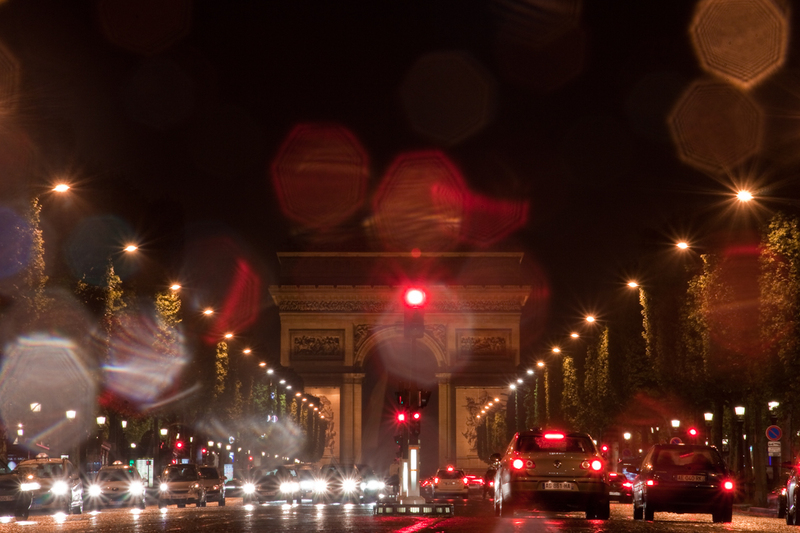 It’s so old and worn out that I don’t mind setting it down in a puddle in the middle of the Champs Elysee in Paris on a rainy night. I ran out to the little bitty concrete island in the middle of the street and set the camera on the ground for some shots while traffic zoomed by. I added my folded-up camera strap under the lens to adjust the framing (I couldn’t look through the viewfinder b/c the camera was sitting right in front of a pole…and I didn’t want to get wet anyway). With a tripod and more time I would have framed this shot a little differently but I like it well enough. The water on the lens adds a nice effect too. Post-processing mostly amounted to the “punch” develop preset in Lightroom and some “recovery” slider action. My not-quite-10-minute excursion to this concrete island was pretty much the extent of my “doing photography stuff” when I was with my wife during our Paris trip (I took one short photowalk while she was crashed in the hotel one evening). It was kind of nice not feeling the pressure of trying to work every shot, find the best angles, etc. Did I mention we had an awesome time in Paris??? 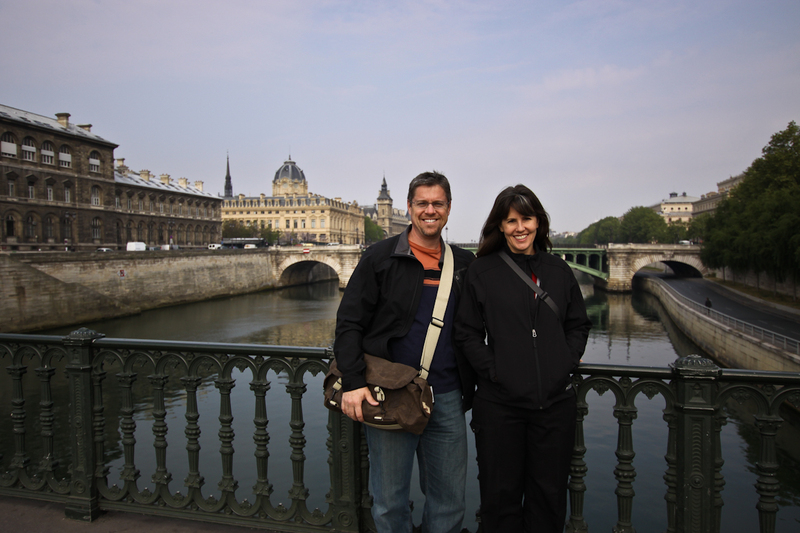 One of the important shots from Paris…my wife and I on a bridge over the Seine. Paris is amazing. Almost everything was more impressive than my expectations. 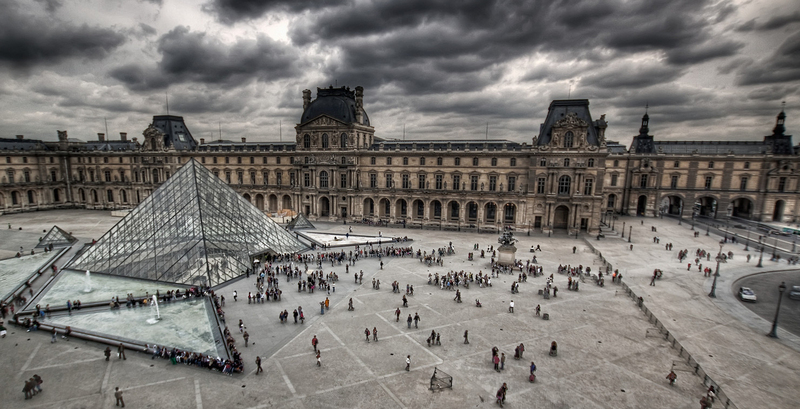 The Louvre — to my wife and I the building itself was more impressive than the art itself. Even though I had read many times how big the place was it still exceeded my expectations. 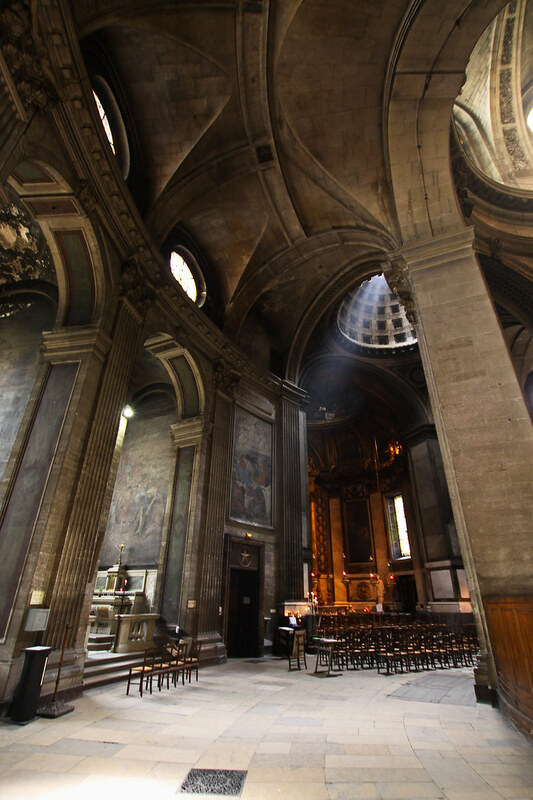 Notre Dame — bigger and more impressive (inside and out) than pictures can possibly convey. We were really impressed by the architecture of Les Invalides (where Napoleon’s tomb is) which was a place we’d never really heard of before. The average building along any street might have sculptures and immense, impressive doorways. Etc, etc, etc. As much as we like Washington D.C. we’ve decided that Paris makes D.C. look like a kiddie park. 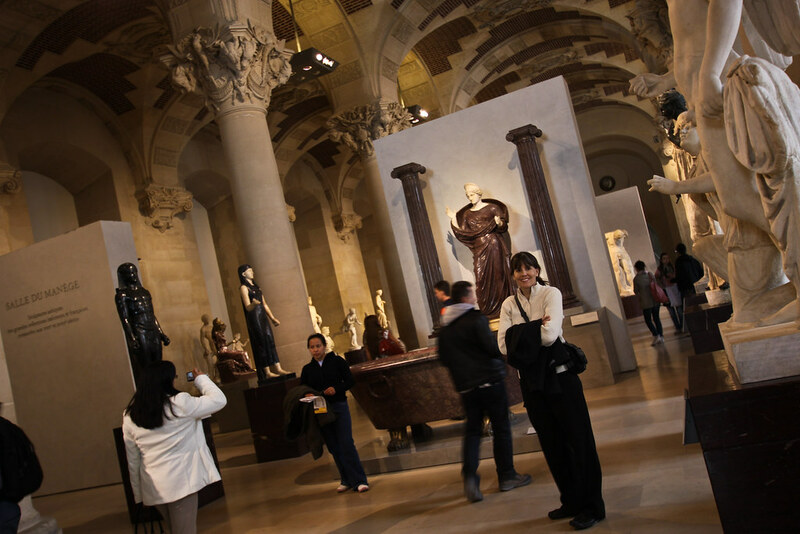 Here’s a shot of my wife in one of the rooms of the Louvre. Very cool. We ended up in Paris by planning a trip to Italy. 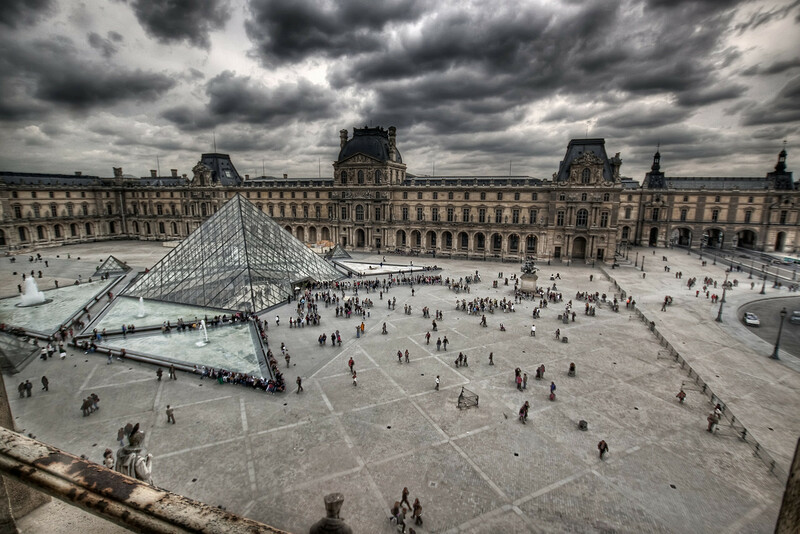 Paris wasn’t even on the list of places that I necessarily planned to visit in my lifetime. Long story short we found out that flying to Paris would use 40k frequent flyer miles each vs 120k each to fly to Rome. Then the plan became “fly to Paris, spend a day or two, then night train to Milan to begin our Italy adventure”. As we planned the “day or two” in Paris we discovered a couple month’s worth of stuff we wanted to see and do there…it became a Paris trip at that point. No regrets. Lord willing, an Italy trip will happen at a later date. As I mentioned in a previous post this was *not* a photo trip. I took plenty of photos (probably 1000-ish) but only a handful were thought-out shots. Shot mostly jpeg. Never once used a tripod. In reality this made it a much better trip because in “photography mode” I could have spent hours at about every street corner. I found that I used my 10-20mm about 90% of the time…getting pretty addicted to that lens (Raul Touzon’s doing) but I wish it were far sharper. 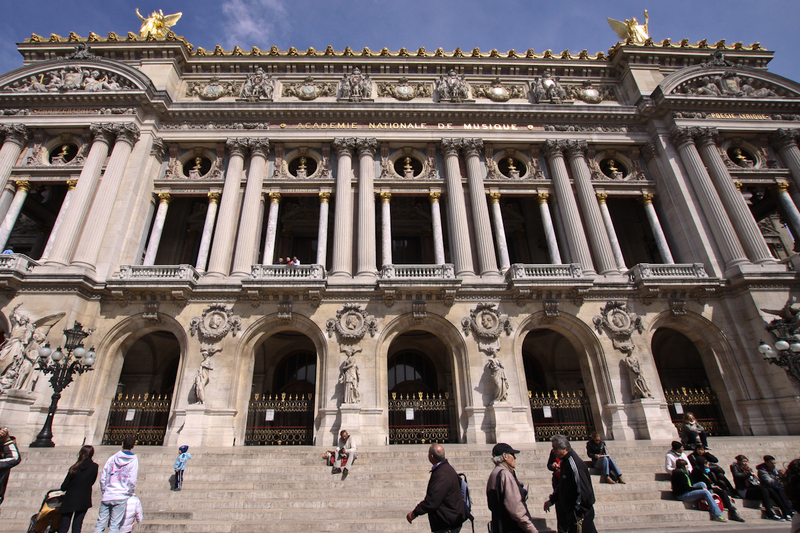 The shot below is the entrance to the Paris Opera (or Palais Garnier or a host of other names). This was taken after we got off the bus from the airport — great place to start hitting the streets of Paris. The people on the balcony give a sense of size. Inside Musee d’Orsay there’s a cutaway view of this building which is really cool to see. We had an incredible time together visiting the sights, walking the streets, hanging out at cafes. Worth every penny we spent. We found the French very friendly and willing to suffer through our pathetic French phrases before they answered in (usually) excellent English. It was a positive experience all around and I can’t wait to go back.